We’ve all seen at least one of the many ghost hunting TV shows out there; self pro-claimed paranormal investigators waving EMF meters around, swinging crystals in circles and attempting to record the voices of the dead. 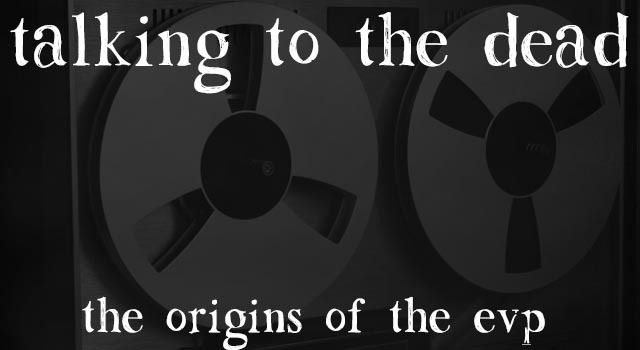 But did you ever wonder about the roots of the EVP? Although he was known for being a writer and intellectual, it was parapsychology that Latvian born Konstantīns Raudive was passionate about.So much so that he dedicated the last decade of his existence to the study of voices from beyond. Once a student of psychiatrist and psychotherapist Carl Jung, as well as working as a university lecturer whilst in exile in Sweden to escape the Soviet occupation of Latvia during the second world war, Raudive settled into his old age with an intense interest in the afterlife. In 1968 he published his book “Unhörbares wird hörbar” (inaudible becomes audible). 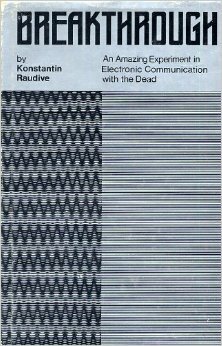 The book was the fruit of 10 years of investigative labor into electronic voice phenomenon, or EVP for short, which was published three years later in English under the title of “breakthrough:an Amazing Experiment in Electronic Communication with the Dead”. He made over 100,000 recordings in his decade of research, using methods such as leaving a microphone and recorder in an empty room and allowing it to record without interaction, recording radio static and white noise and diode recording using a regular antenna crystal radio, set to AM frequency. Raudive was Originally inspired by Friedrich Jürgenson’s book published in 1964 titled “Voices from space” which was inspired by some reel to reel recordings of EVP’s Jürgenson had accidentally picked up while recording birds singing in his garden. Allegedly, the birds could not be heard at all when he played the recording back, and instead there was static and hissing. He heard the voice of his passed mother “Friedel, can you hear me? It’s Mummy”. After hearing the voice, Jürgenson was said to abandon all of his other interests in pursuit of Parapsychology. In 1965 Raudive and Jürgenson met and together began investigating the voices of the dead. Raudive would listen to the audio over and over and was said to clearly hear and understand the different polyglottic voices present on the tapes.